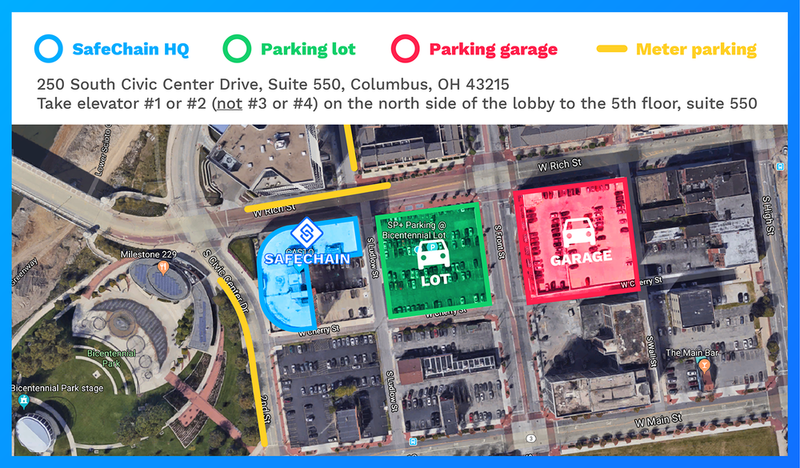 Parking is behind our building in Spot #66 (the spot may say First Merit Bank - it's okay!) - additional information on parking is below. Bike parking is available in our office - bring your bike up to the floor with you and we'll get you squared away. We do have showers in the building - please plan ahead and get here early enough to accommodate that with our schedule for the day. If your plans change the day-of and you suddenly need parking, there are multiple parking lots and garages by the office that we will reimburse you for.